Do you want to get in on this work-at-home business but don’t know how? Do you have a book you think will sell but don’t know what to do with it? Don’t you wish you could sit down with someone “over a cup of coffee” and just ask all those questions you have about self-publishing? Well, now you can (but it will have to be a virtual coffee, sorry). I started self-publishing in 1986. Since then I’ve helped hundreds of authors realize their dream of publishing a beautiful, professional quality book. In these consultations I want to help get rid of the confusion and get you real answers to get moving toward publication. Either a 30- or a 60-minute phone consultation in which we’ll address all your questions. Afterward, I’ll send you an MP3 recording of our conversation so you can review it any time you want. That way you don’t have to get distracted by taking notes while we’re talking. You’ll also get a “plain talk” evaluation of your book or concept. No fluff and no flattery, just an informed opinion that gives you specific things you can do to move to the next step in your publishing journey. You don’t have time to figure out how print on demand, digital printing, online ordering, book distribution and ecommerce work. You would rather cut to the chase and get busy selling books. You’ve been reading blogs and articles, and every time you think you’ve figured out the best way to produce your book you run across some other information that makes you think perhaps that’s not the best way at all. You’re stuck in paralysis by analysis because you just can’t figure out how all these pieces fit together. You sense that your book might have good sales potential. 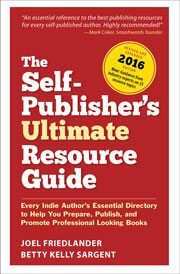 You want to publish it yourself but you’re wary of sending signals that you don’t even know you’re sending that will tell everyone “hey, this is a self-published book.” You want a book that can compete toe to toe with books from big publishers, without any of the screwy mistakes self-publishers make. You are about to sign a contract with a “self-publishing company” or a “subsidy publisher.” Put the pen down and send me an email instead. There’s probably a better solution, and I’ll help you find it. You already published your book with a “self-publishing company” or a “subsidy publisher.” Now you realize they are not selling your book, and that even if they did, the book is too expensive, and you receive too little for all your trouble. You want out but don’t know how to go about it. Cost savings that can run into thousands of dollars by using the right vendors for your project. The cost is $350 for a 60-minute consultation, or $175 for a 30-minute consultation. * Compare that to the $2,000 – $50,000 paid by competitive self-publishing authors to get their books into print. Having the right plan in place can make a huge difference. I know there’s a lot of information out there on the internet about self-publishing. There’s a lot right here on my blog. But what I’m offering is a consultation that’s specific to you, your book, and your goals. Not only that, but I guarantee that you will receive far more than your money’s worth from our talk. See the testimonials below the submission form. So it’s up to you. You’ve got the questions, and I’d love to help out. Complete the form below. I look forward to hearing from you, and about your publishing plans. *You will be invoiced upon confirmation of a date and time for your consultation. All invoices must be paid prior to the actual consultations. To book a consultation with Joel, please proceed to our Consultation Request form.